It has been a busy couple of weeks for me with lots going on. I want to see what we can look forward to this week after I share some of what I have experienced the first half of the month of August. For weeks I have been packing boxes and moving furniture in anticipation of a temporary move from California to Idaho. This happened in a very interesting way. Although some people actually pay attention to the lunar cycles and make major life changes according to those cycles, I have found that these things just sort of happen to me. I had originally planned on leaving Bakersfield on July 31, the end of the month. However, I ended up teaching a course that required me to teach on ground, with the last night on August 7–the night of the full moon and lunar eclipse. At the time I was just focused on earning money and making sure my living arrangements were secure enough to allow for the extra week. With my living arrangements secure for another week, I began my move on the morning of August 7. I loaded up what I might need for 3 months in Idaho and left the house where I have lived for the past 4+ years (another temporary home). I didn’t want to stay an extra night and was ready to leave Bakersfield, California so I spent the day driving my fully loaded truck to storage to drop off more stuff and say good-bye to some folks and then I taught from 6pm until 10pm. At 10pm I hit the road for my 12-13 hour drive. I later realized how special it was that I was releasing my life in California on a full-moon and literally driving while the moon was at its fullest. I missed seeing the lunar eclipse because I was driving, but I loved knowing that I was not travelling alone. I arrived in Boise Tuesday afternoon exhausted, but in one piece and excited about this part of my journey. Now let’s back up a bit and take a look at the messages the angels sent for the second week of August (August 6-12). 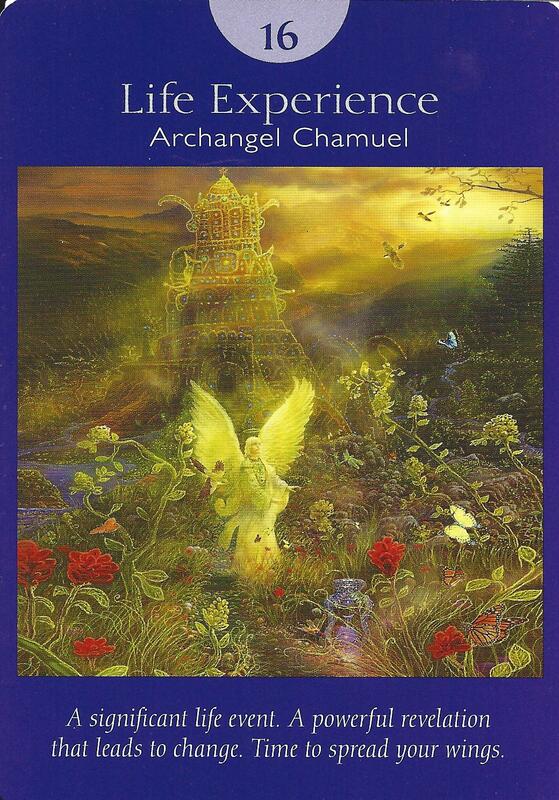 The first card from the Angel Tarot deck was 16-Life Experience. In traditional tarot this is The Tower card and as such signifies some major life changes. It is from the major arcana, which also represent major life changes. I made a major life change leaving California and venturing to Idaho. 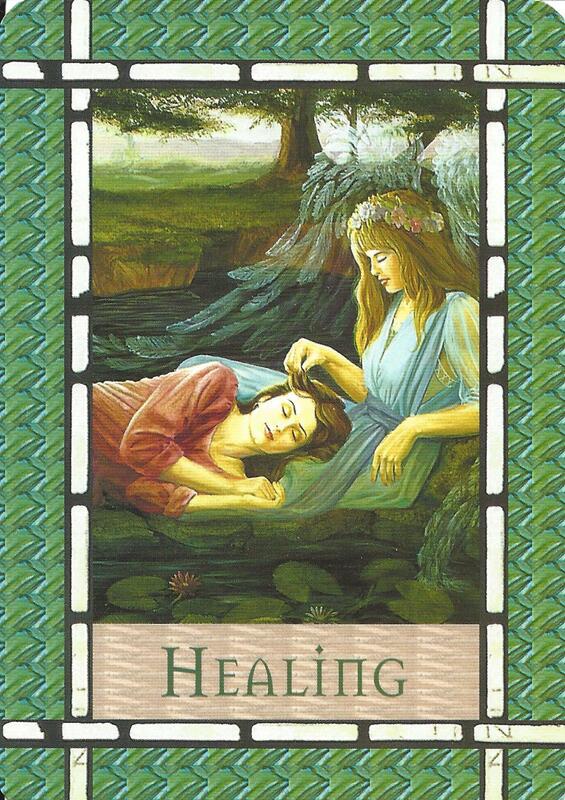 The other card for the week was Healing from Healing with The Angels Oracle deck. Before I left California I spent time acknowledging much love and gratitude for those who had helped me in some significant way. I had been avoiding some folks, for reasons I won’t go into, and realized that that feeling of having been wronged in some way was not the way I wanted to leave. I acknowledged the truth, that these folks had done wonderful things for me and so I thanked them each before I left town. I knew I had to do some healing or else my life changes might be more challenging than necessary. I am now settling in and trying to find a comfortable place to work (teaching online) and find my way around a new city. At the end of the week I encountered a little bit of a struggle with technology not cooperating and allowing me to publish my syllabus for the upcoming class, which was frustrating. Then I realized/remembered–Mercury went retrograde yesterday (Saturday, August 12). Be warned folks and be patient. So what can we look forward to this next week? Starting today, August 13 and running through August 19 we have Nine of Air and Divine Guidance. Nine cards often represent extremes. They can represent a time of releasing and manifesting. The Nine of Air can be a reminder to keep our wits about us and focus only on what we wish to manifest because otherwise, we might find ourselves manifesting things we fear or do not want. Nines can feel like great success in completing something but it is only a momentary completion as we pick up and start a new journey. 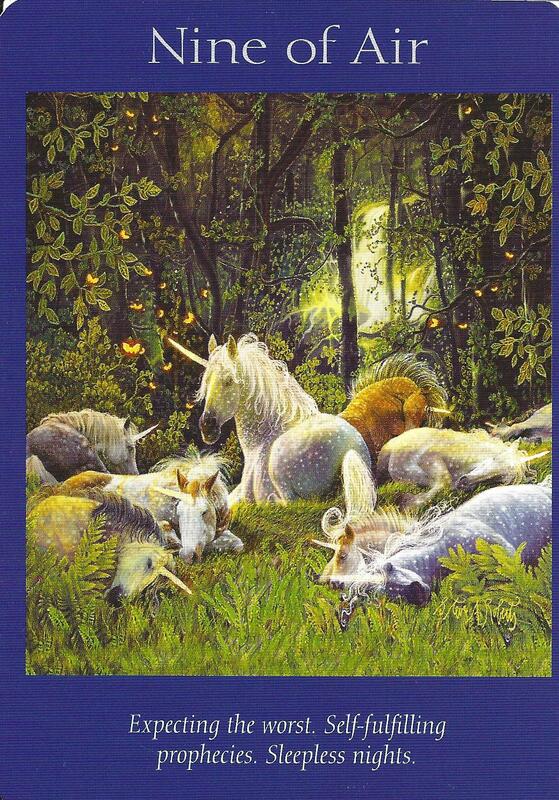 Nines can also manifest as sleeplessness (see the sleeping unicorns) as our minds are busy focusing on fears and unwanted dreams. Remember, the cards only show what can happen, not what is guaranteed to happen. We all have freewill so use it to make good choices. Air cards represent intellect so keep your mind focused on only what you want and how you want to feel. 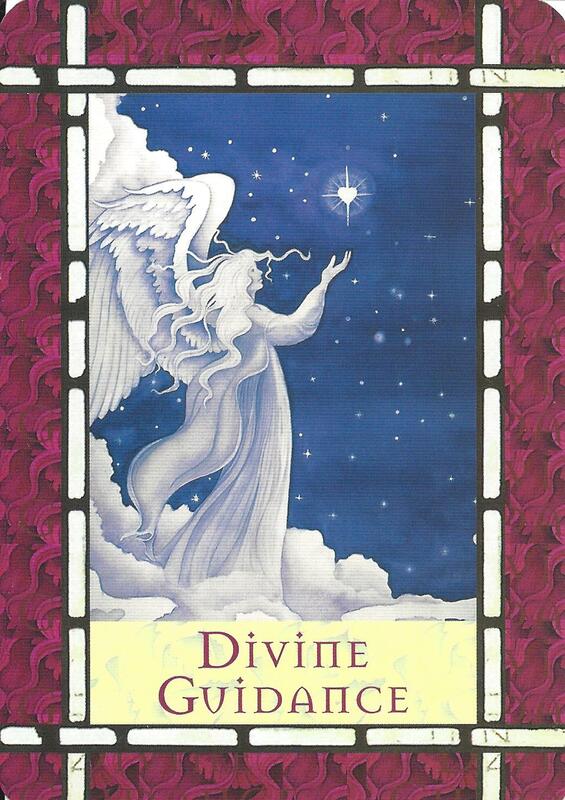 The Divine Guidance card reminds us that we are never alone. We have help standing by. The angels are ready to offer assistance, however that might look, but they can only do so if we ask. If you come to a fork in the road and are unsure of which direction to take, ask for guidance. Listen to your gut, your heart, your soul, and look for signs from the angels. That’s all for now. If you enjoyed this post, please share with a friend. Also, I would love to hear how the cards are working in your lives so feel free to add to the discussion. Have a very blessed and happy week everyone.